We apologize but online registration has closed. However, you may register this evening beginning at 5:30 pm at the door. We hope to see you at the B2B Network! Network * Make new friends * Increase your bottom line! Free for Mid-America GLCC Members. $20 each for Prospective Members. Register today by clicking on the register at the top of the page. 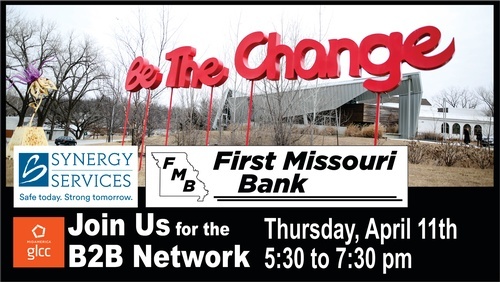 We hope to see you April 11th at the B2B Network! Surface Lot parking is available around the Youth Resiliency Center.